﻿ Cover Up That White And Grey Facial Hair With Beard Dye! Not ready for the white-bearded Santa jokes to start? Don’t worry. We’ve got you covered. As much as man has existed, beards have also existed. The earliest records indicate that Egyptians grew hair on their chins. They hennaed, frizzled and dyed their beards. This was their sense of fashion at the time. Today, it is interesting to see that a culture of beard dying that started back in 3000 B.C. is still considered stylish. Many people are also embracing the beard growing culture. The greatest challenge other than beard growing is beard maintenance. Facial hair does not grow evenly. It usually grows different lengths. It will be bushier in some spots and at times, different areas might take different colors. 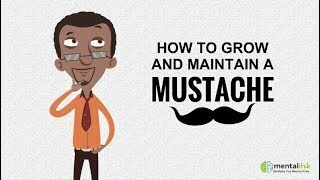 Beard hair compared to the hair on your head is usually lighter in color and if not well maintained it can make you look much older than you really are. There is, however, no need to panic, as regular application of beard dye will solve this. Is Dying Your Beard a Good Idea? The reason why people use dye on their head also doubles up as the same reason why people use it on their beard – to look young. Some cultures explicitly allow beard dying to cover up white hairs. Beard coloring is tricky and when not properly done it can leave you looking like an over-dyed man who is too old to realize that his beard color does not match. However, when done properly, beard dying can be the solution to maintaining the look that you have always craved. Make sure you use products that are designed to dye beards safely and you will do just fine. There are lots of beard dyes in the market, but before you buy any of them you better arm yourself with some knowledge of what to expect and what to look for. This is considered the best-selling beard dye for men and it is used for both mustache and beard. Have some grey beard hair? This is the right product for you. The dye comes in 11 different shades, so picking out a shade that closely matches your beard should be easy. This easy brush-in gel is fast working and in only 5 minutes and you can kiss the grey goodbye (until they grow back – yep, the biggest downside of dying your beard is the constant maintenance it’ll require, because as soon as it grows in a bit, the roots will be white/grey). Just For Men beard dye contains aloe, chamomile, protein, and vitamin E, which help in nourishing your hair during the coloring. These ingredients will leave your beard looking thicker, well-conditioned and properly groomed after every dye application and since it is ammonia-free, you never have to worry about facial hair damage. Tip: when you can’t seem to decide between two close shades, always try the lighter shade first then go darker later. If you have very sensitive skin, you need natural beard dyes. Some synthetic beard dyes may cause itchiness and even burns, but since natural beard dyes use natural ingredients then you don’t have to worry about damaged skin. Also, we’re pretty big fans of natural ingredients here anyway, and we know some of you feel the same way. The harvest moon hypoallergenic beard dye is 100% permanent and never goes lighter than your natural color. It is also vegan, which means no burns and should be used as frequently as needed. It comes in an array of colors ranging from natural brown to light brown, indigo and mahogany. Besides having a long shelf life, this natural beard dye is considered a healthier alternative to the Just For Men beard dye. The Grizzly Mountain beard dye is 100% natural and it is available in two different types (and 3 colors). First is the natural beard dye, which does not cause any allergic reactions. This dye might allow some white and grey hair to show. The other is the Grizzly Mountain beard dye natural henna powder. This product effectively covers up stubborn grey hair giving you a uniform beard color. Millions of people have used beard dye without an issue. In fact, there are many that have used commercial products like Just For Men for years without an issue. Just For Men has gained a wonderful reputation and a big following because it simply works and is available in an array of colors. If you are concerned whether beard coloring is for you or you just want something temporary then you can use brush-in products that are similar to mascara like this and this. Temporary beard dyes come in handy when you want something that will cover your white or grey beard hair just for an event or a photo shoot. Many temporary beard dyes carry little risk of irritation and require less commitment. Of course, you can just enjoy your white or grey beard hair as it is and forget about dying your beard altogether. However, if you decide to permanently dye your beard then you have to consistently dye it or you will start to look weird.